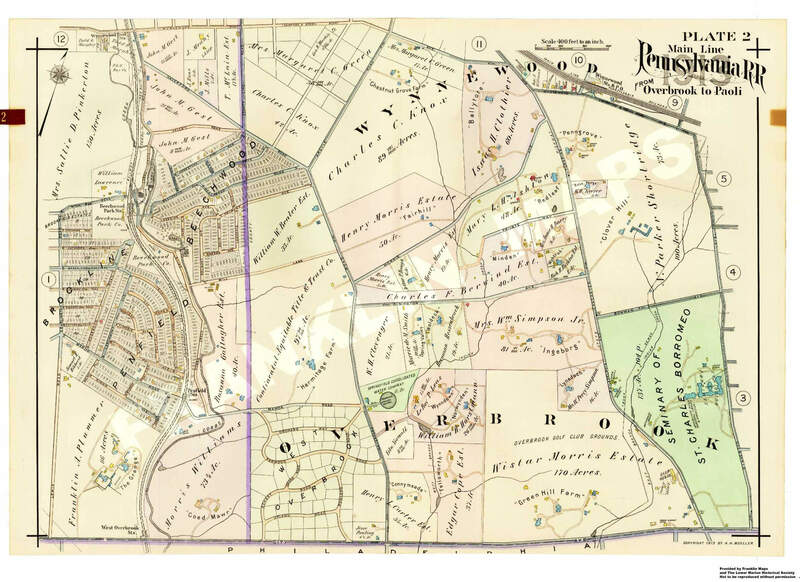 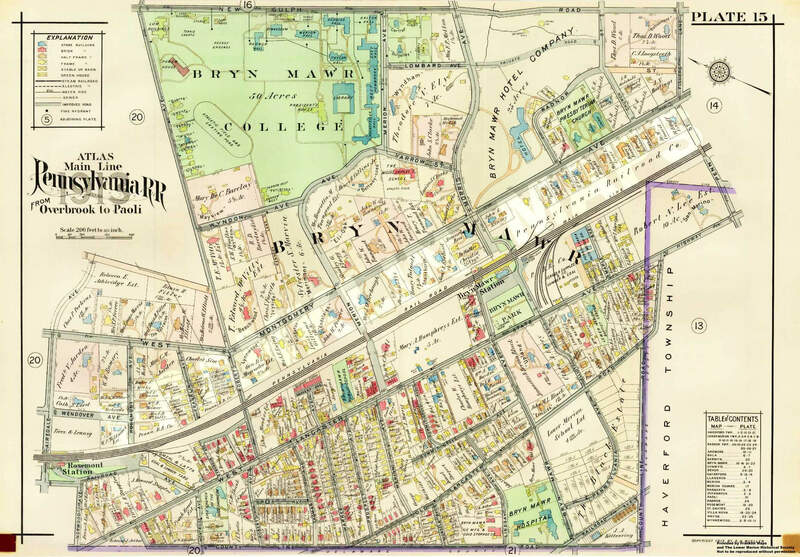 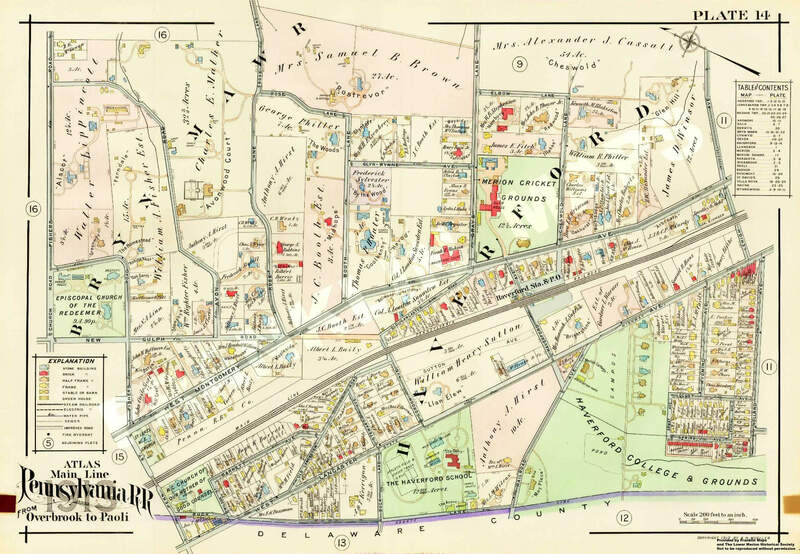 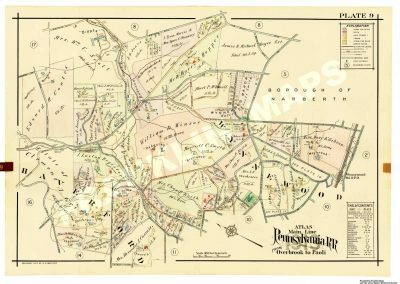 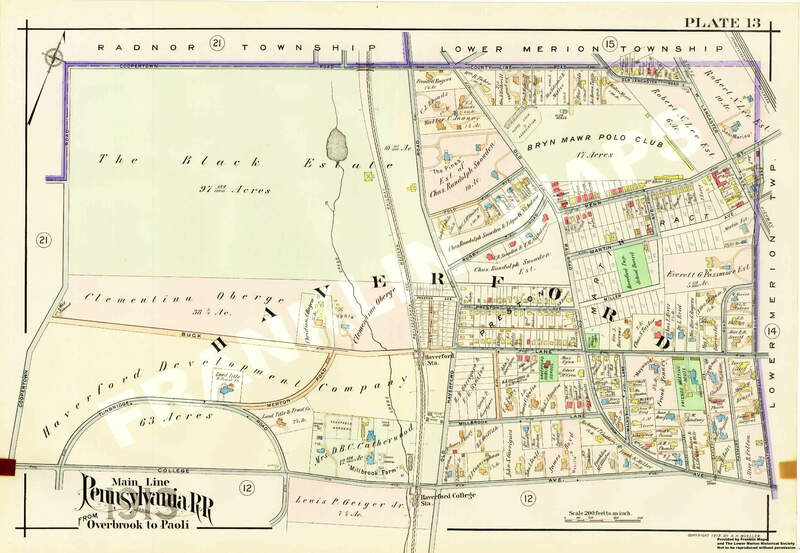 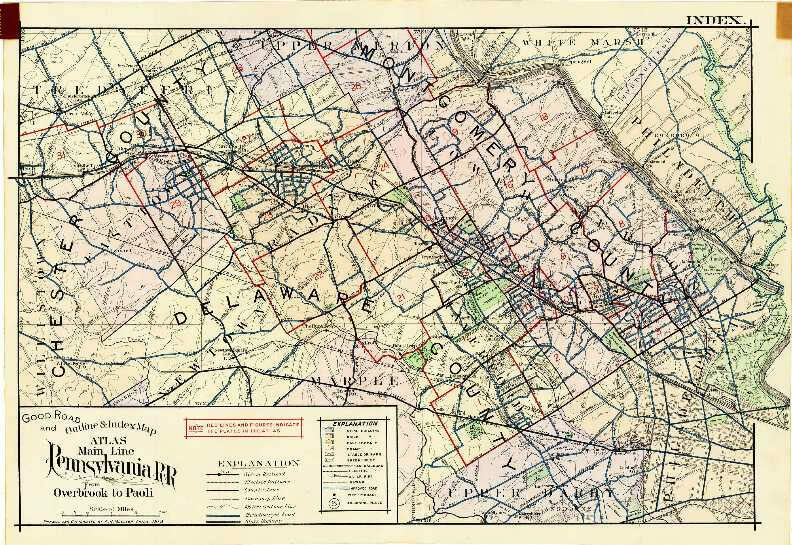 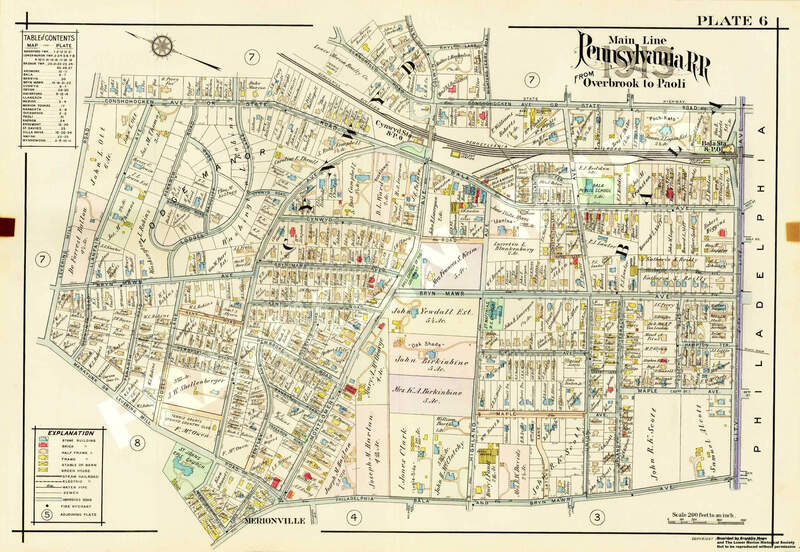 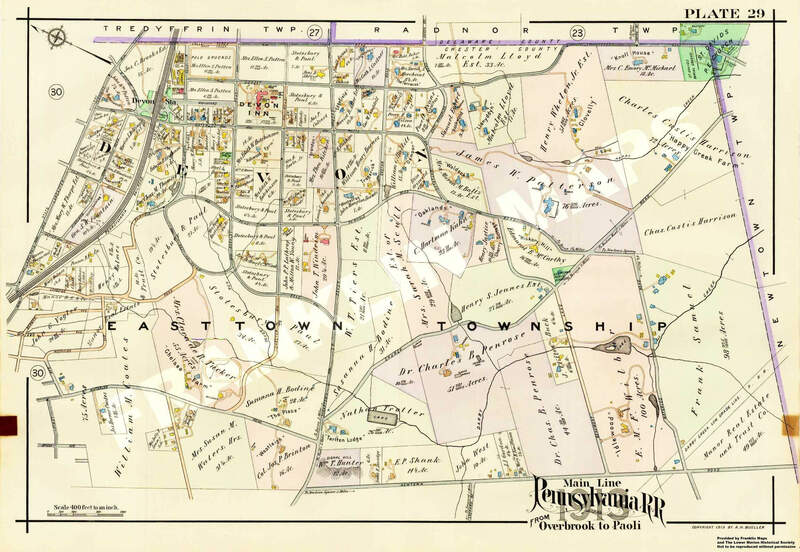 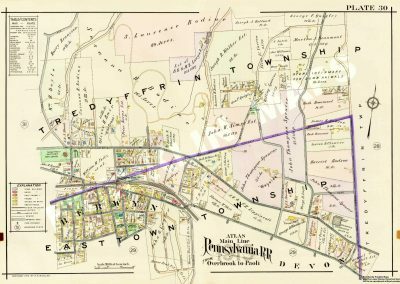 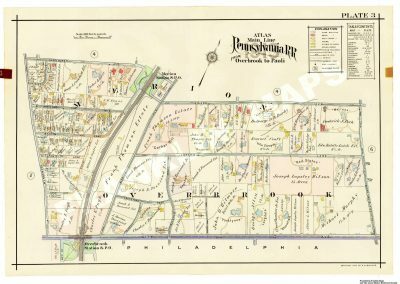 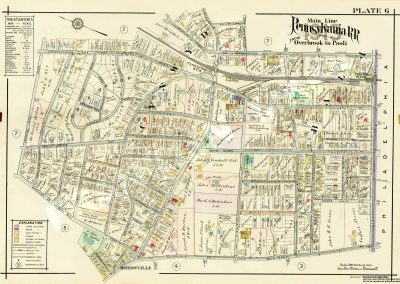 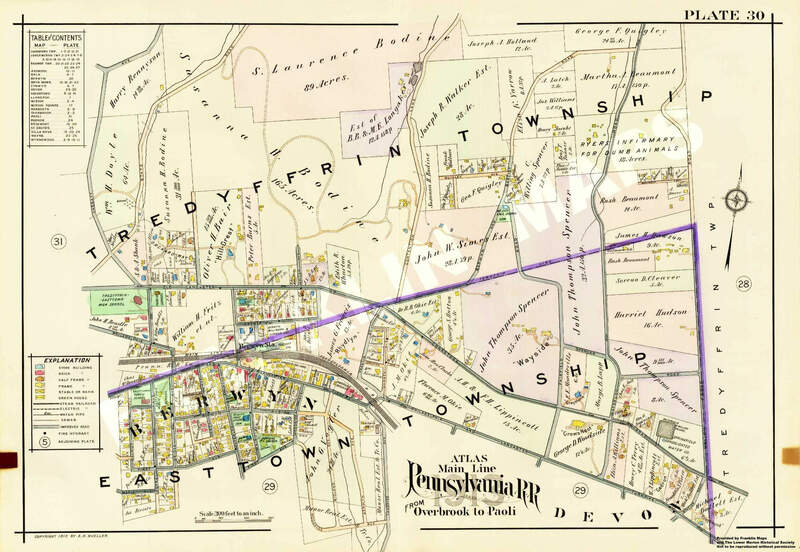 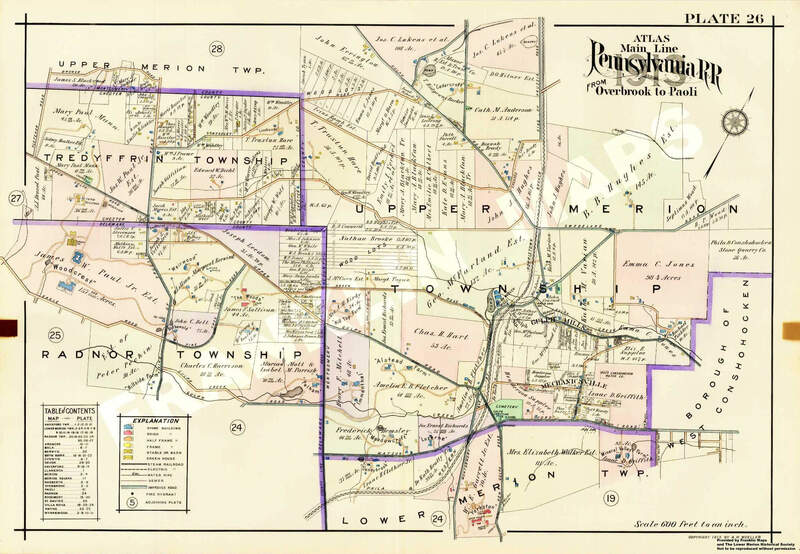 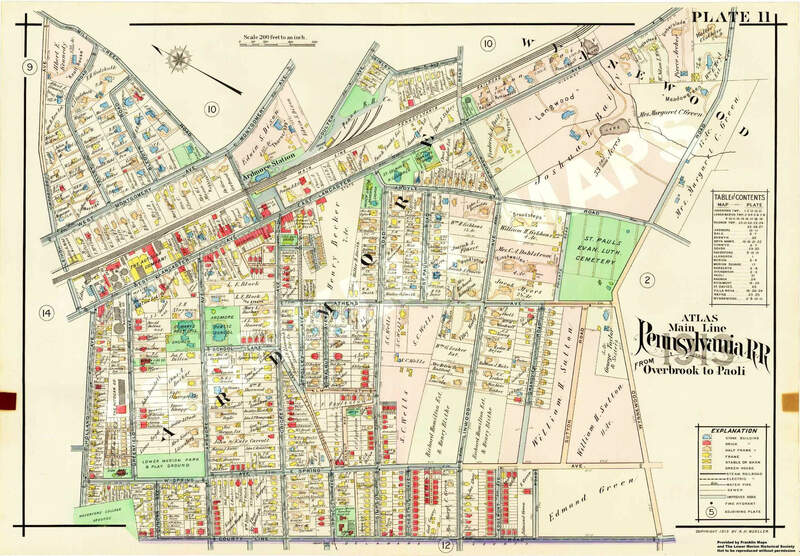 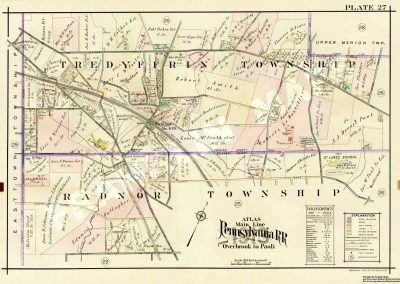 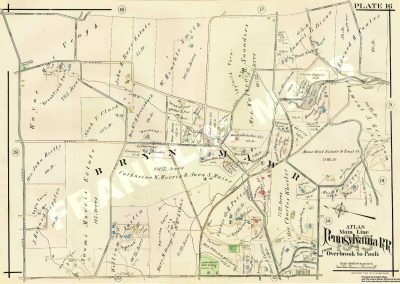 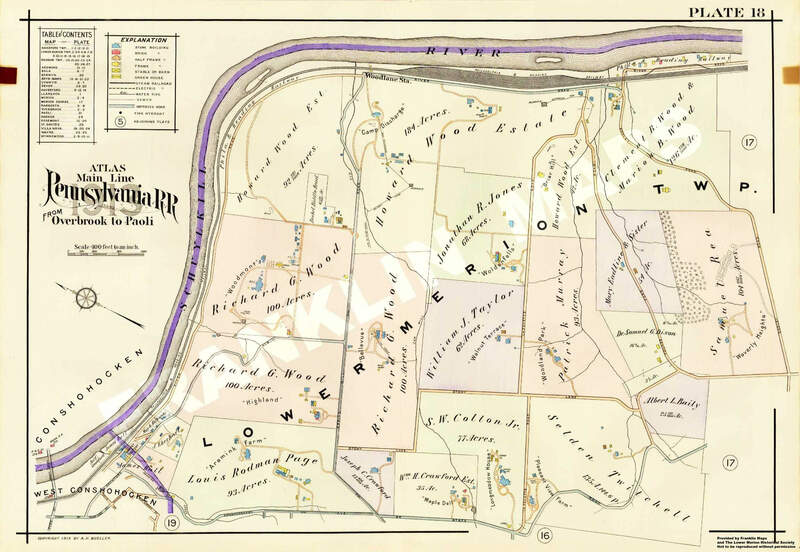 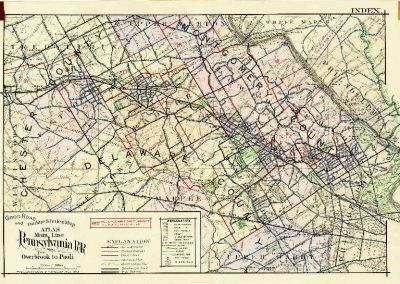 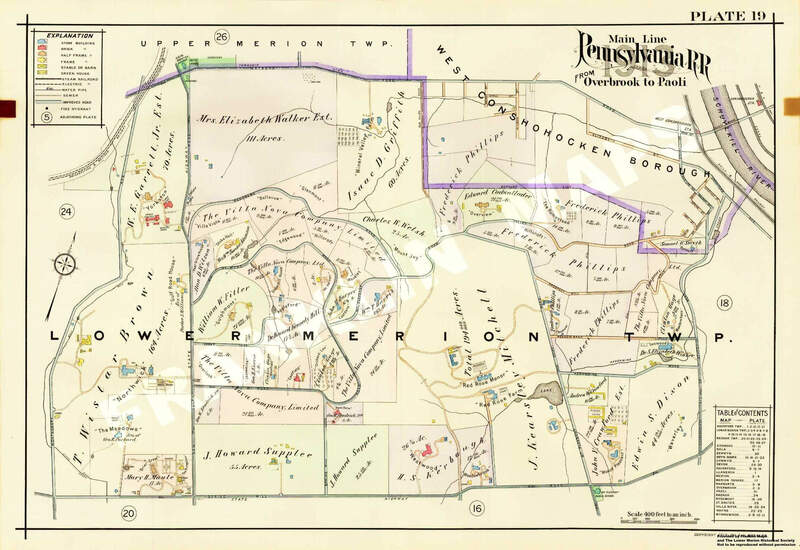 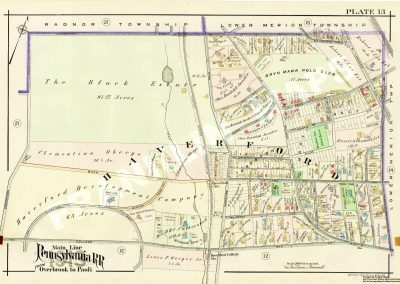 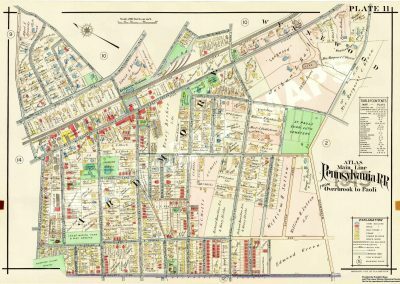 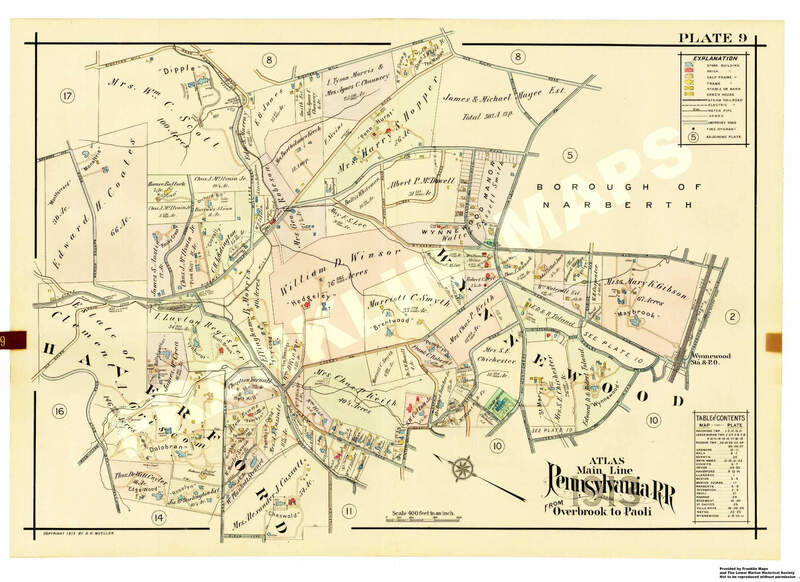 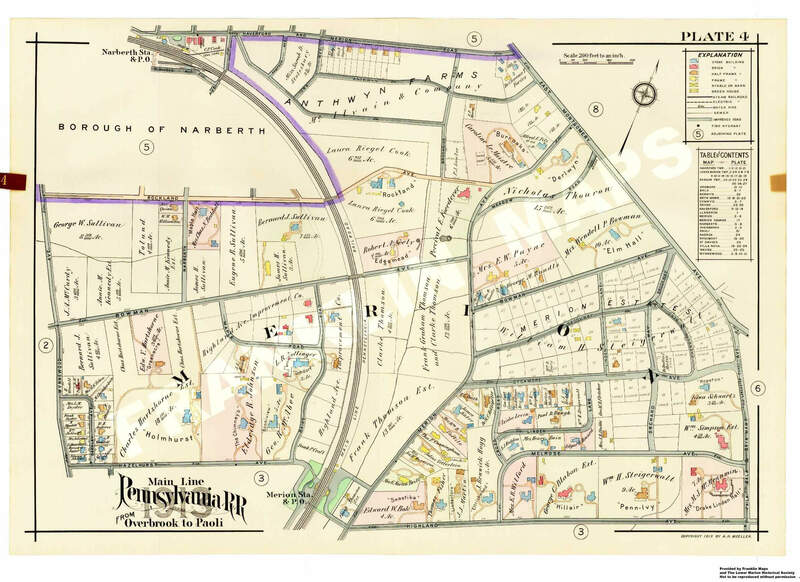 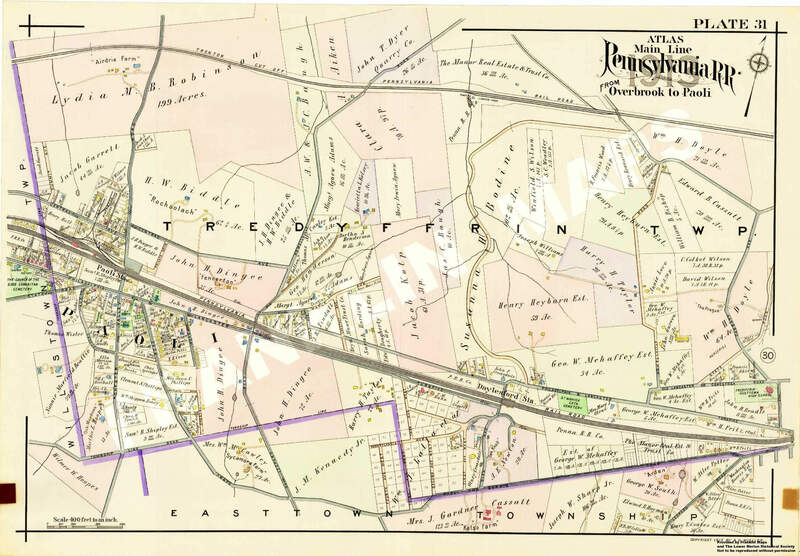 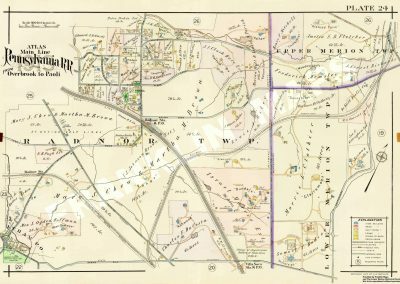 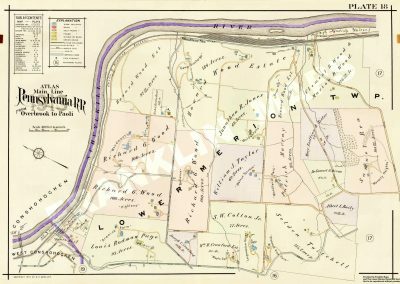 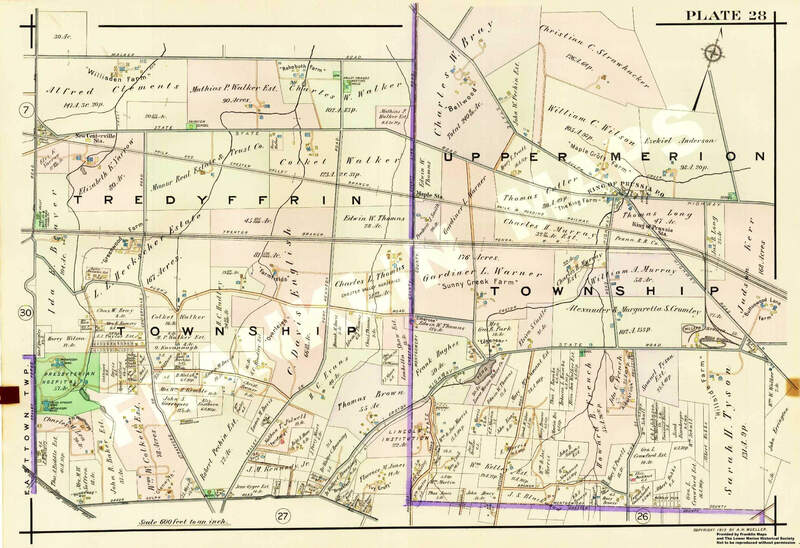 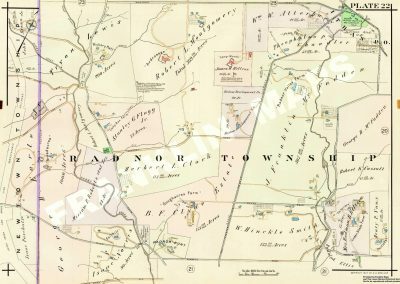 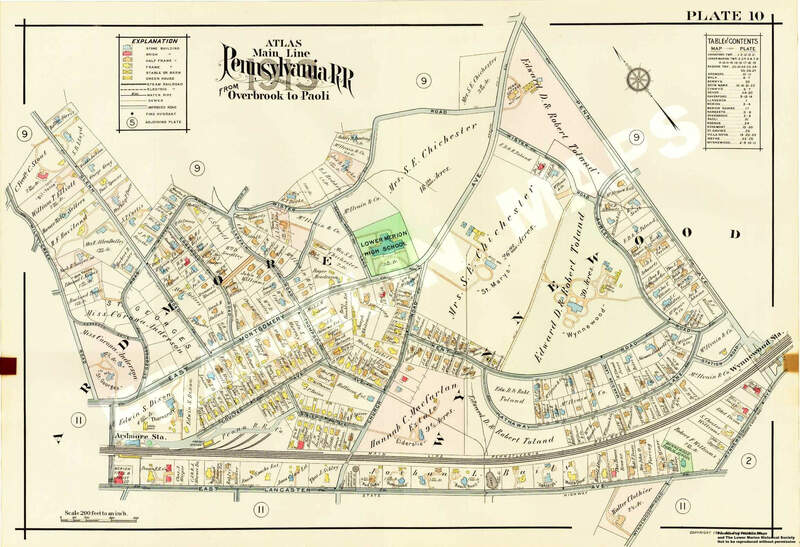 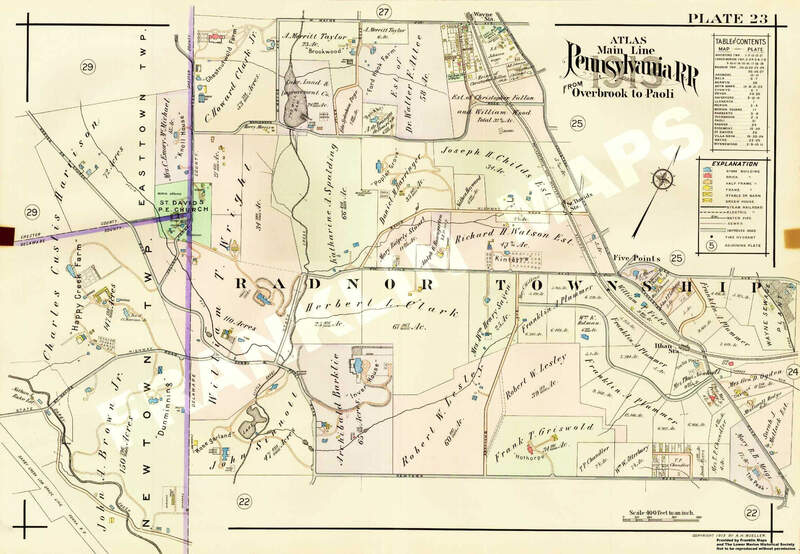 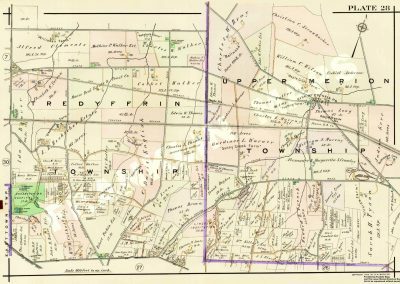 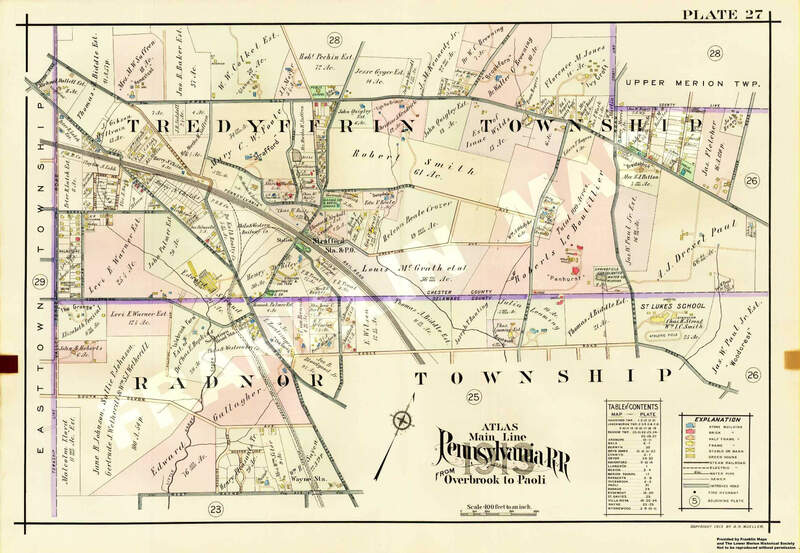 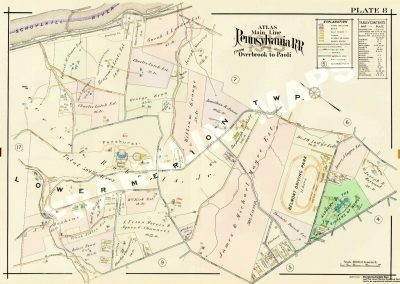 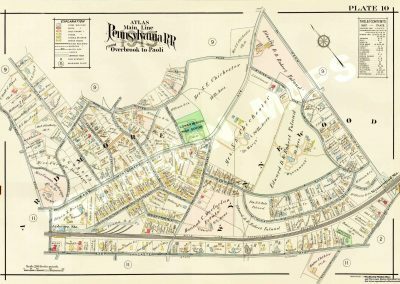 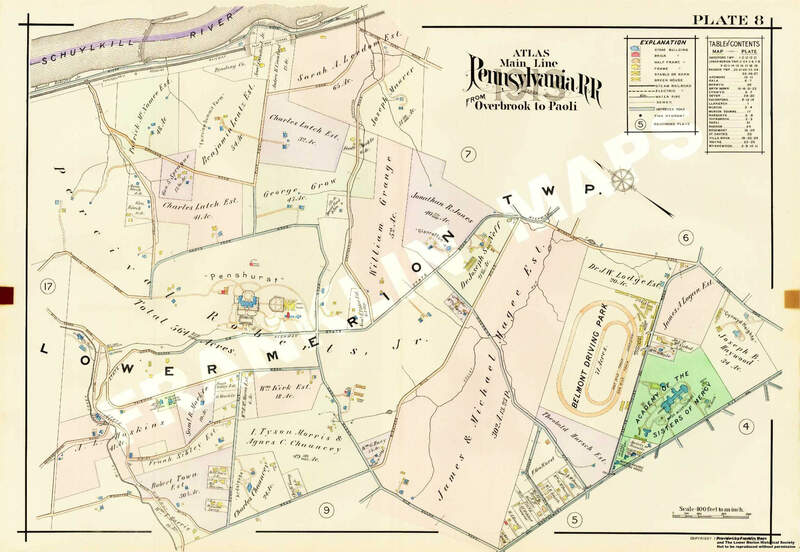 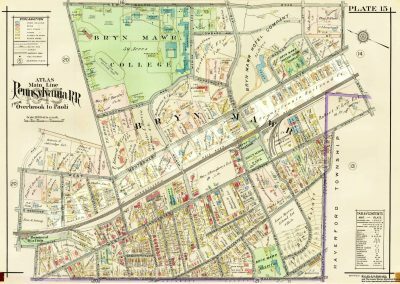 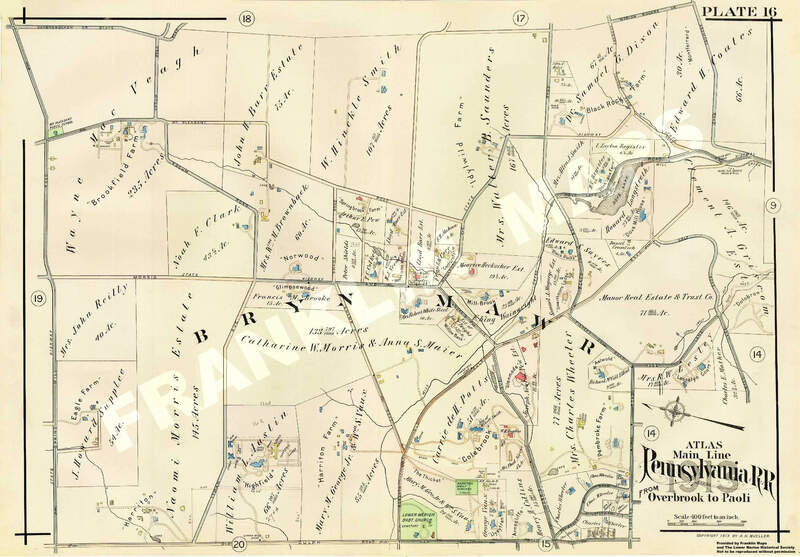 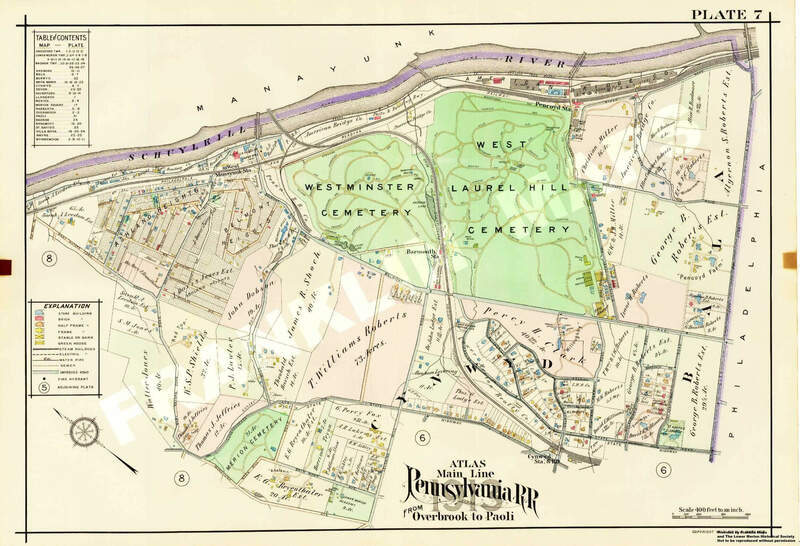 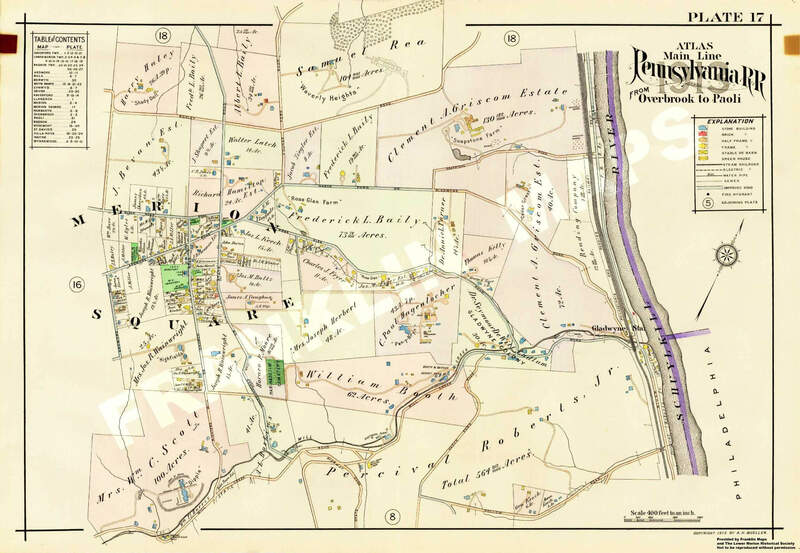 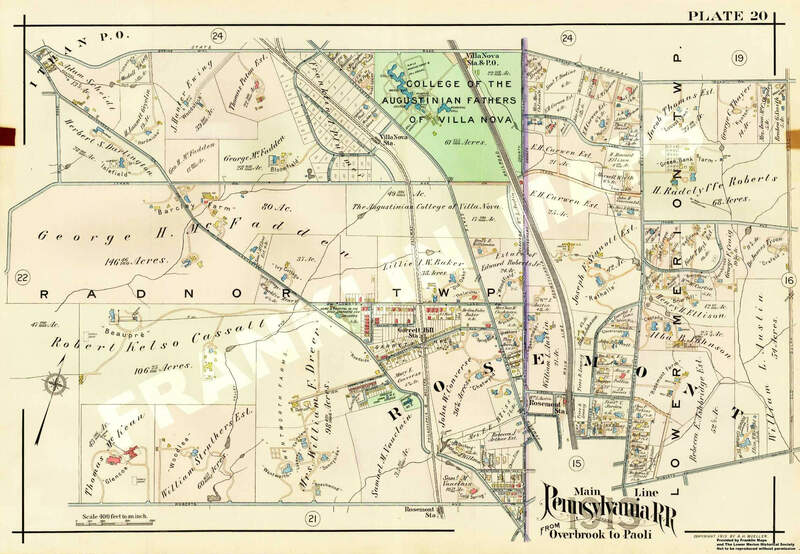 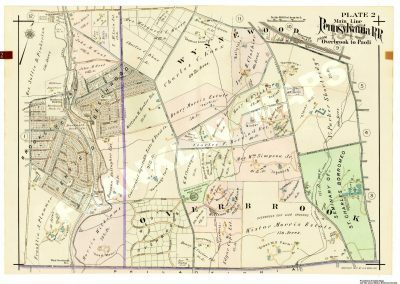 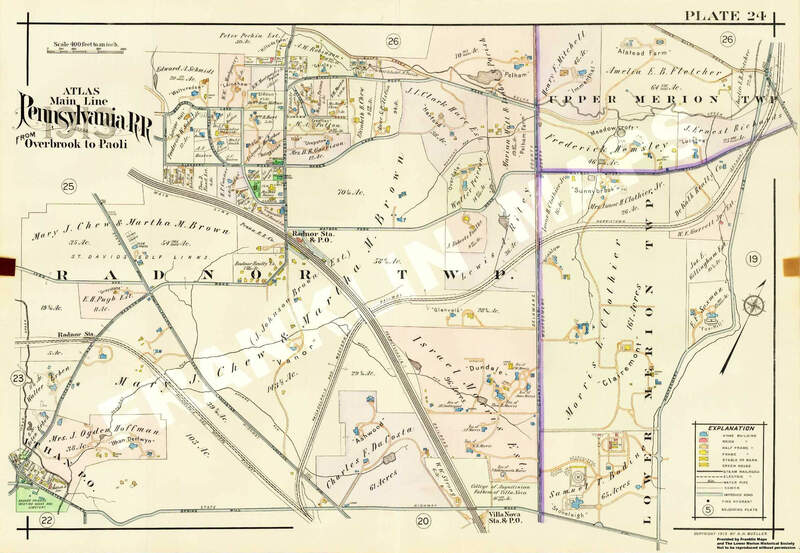 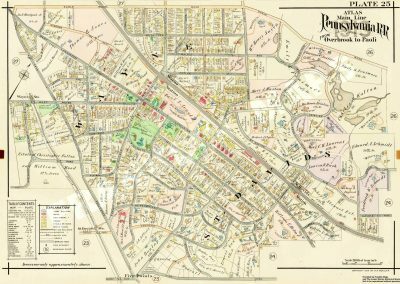 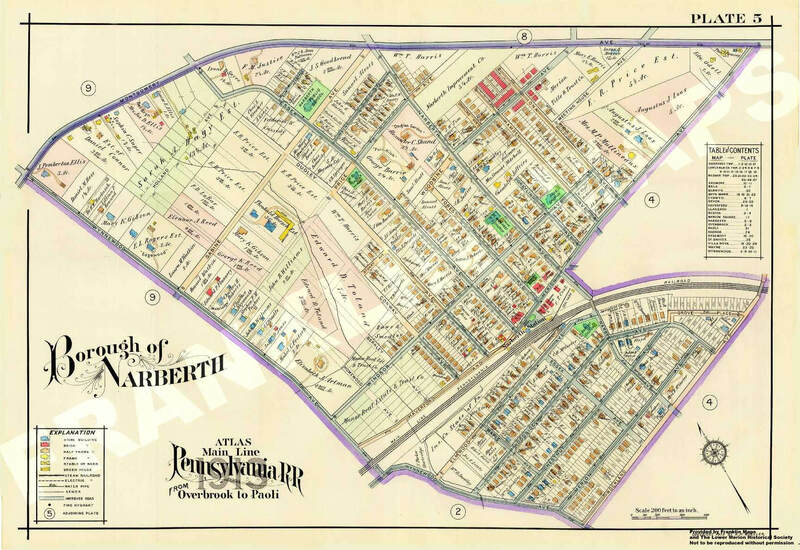 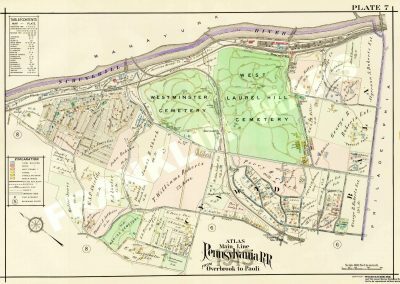 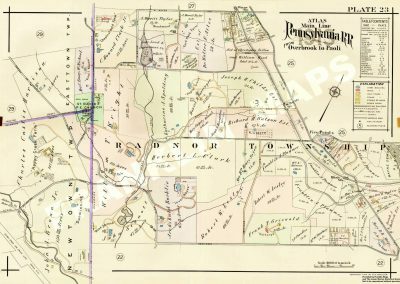 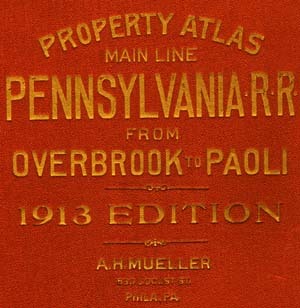 Property Atlas Main Line Pennsylvania R.R. 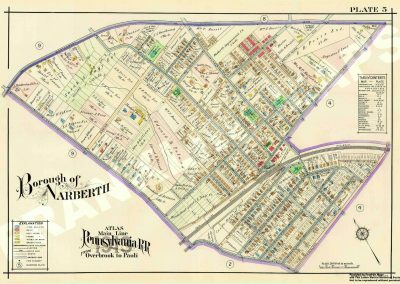 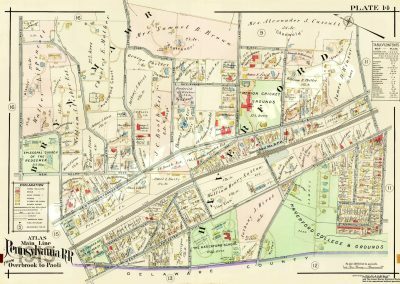 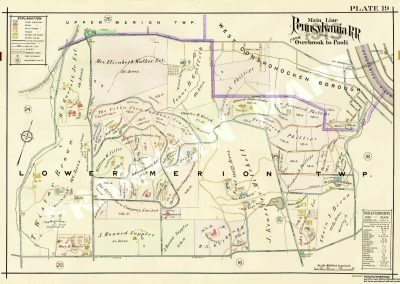 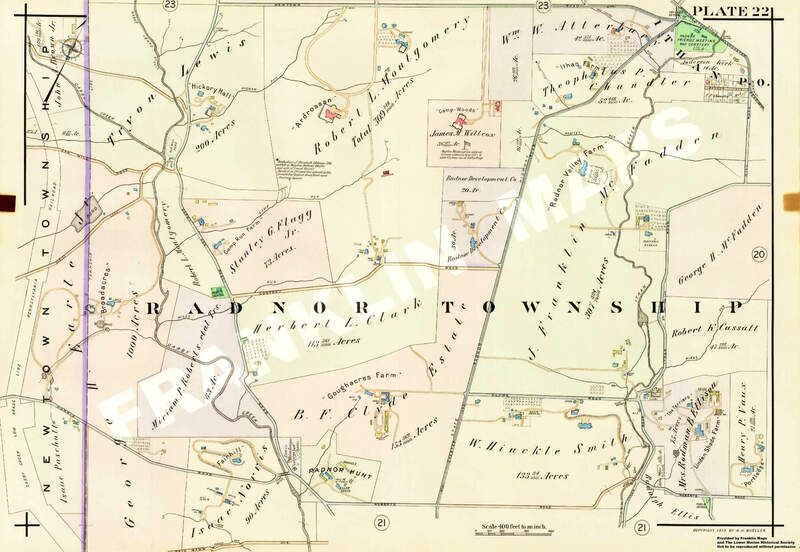 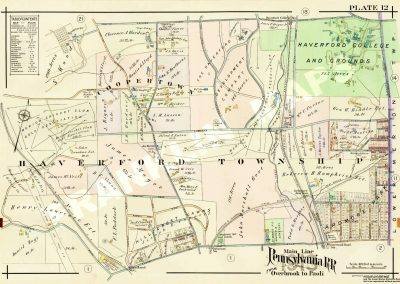 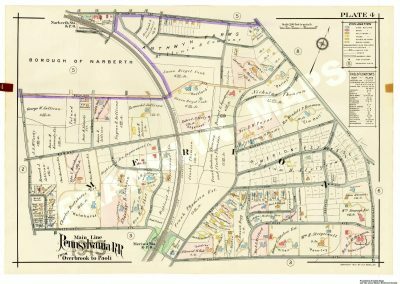 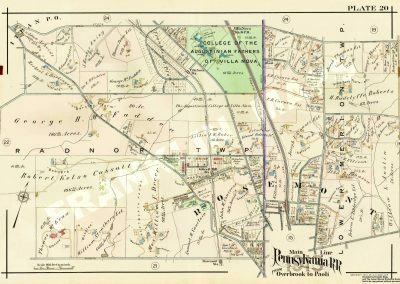 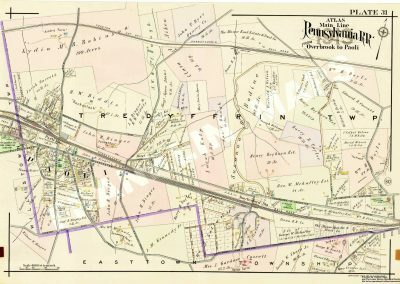 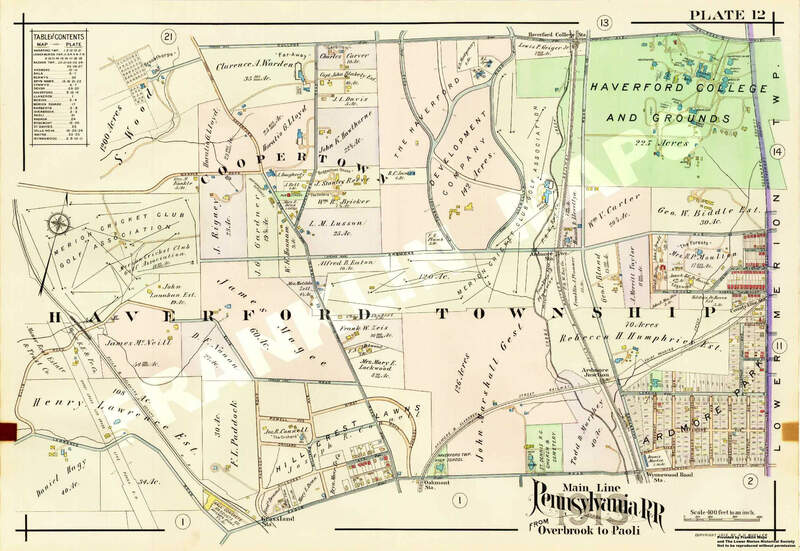 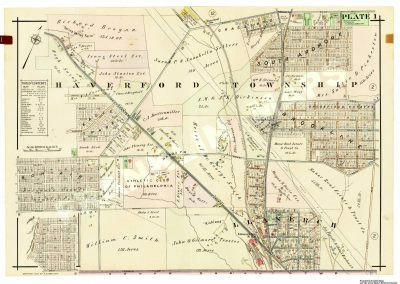 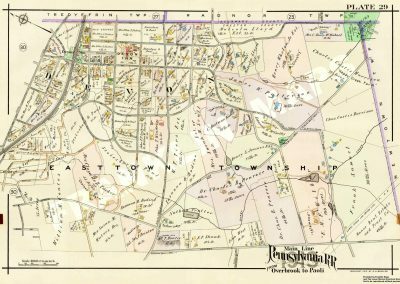 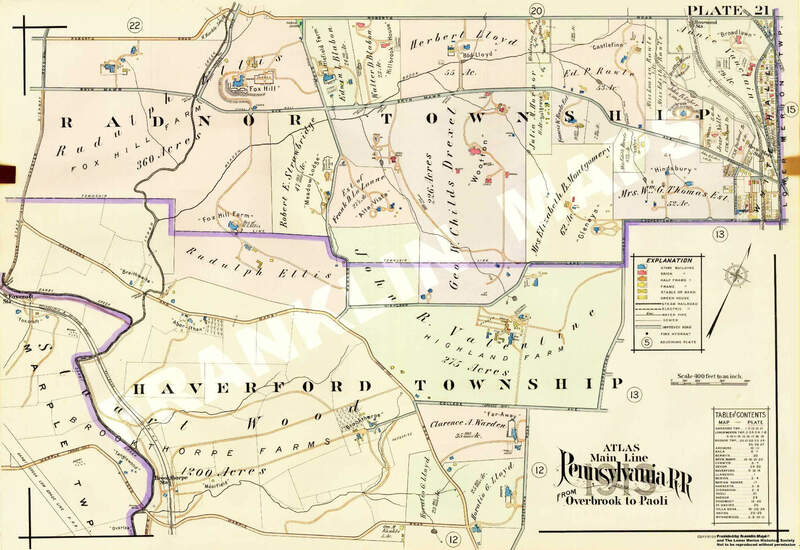 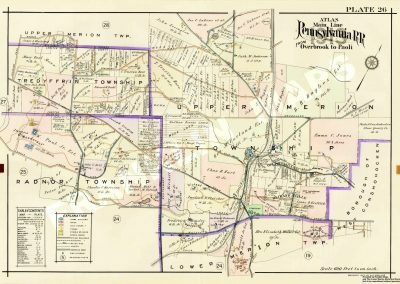 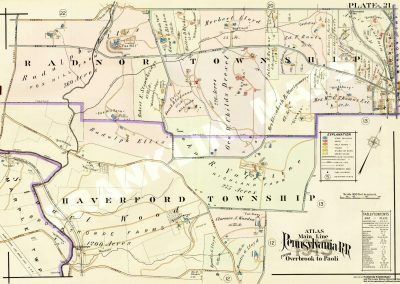 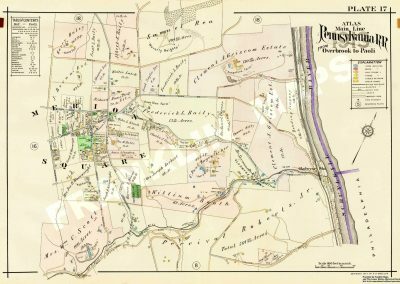 from Overbrook to Paoli Embracing Lower Merion, Haverford and Radnor Townships and Parts of Upper Merion, Easttown and Tredyffrin Townships. 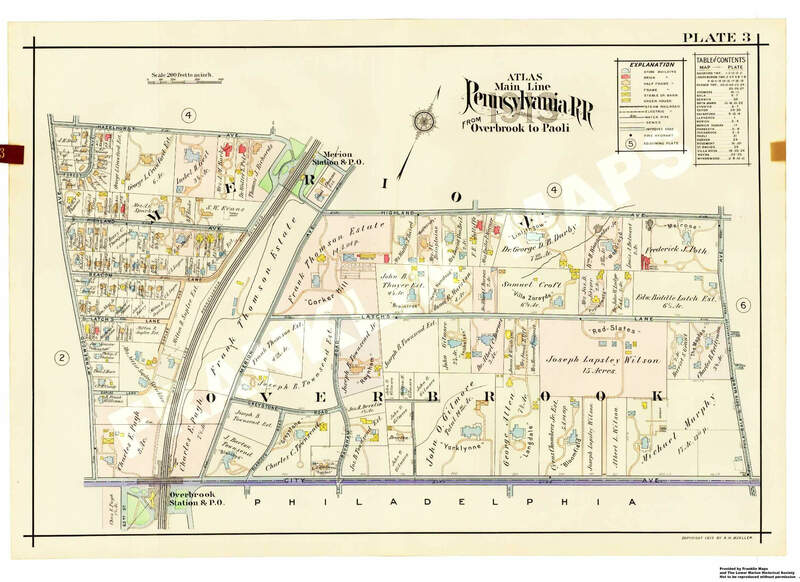 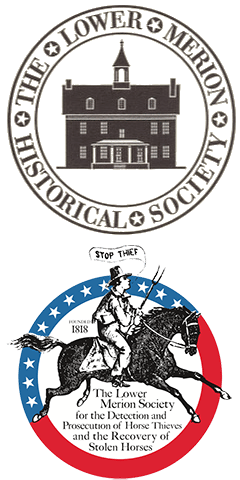 Click on any of the links below to view a pdf of the plate. 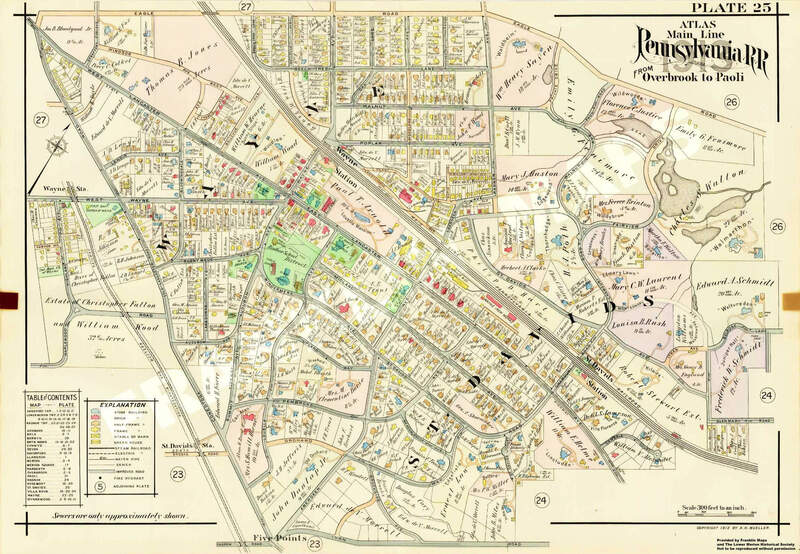 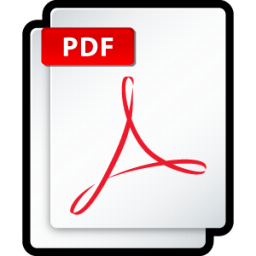 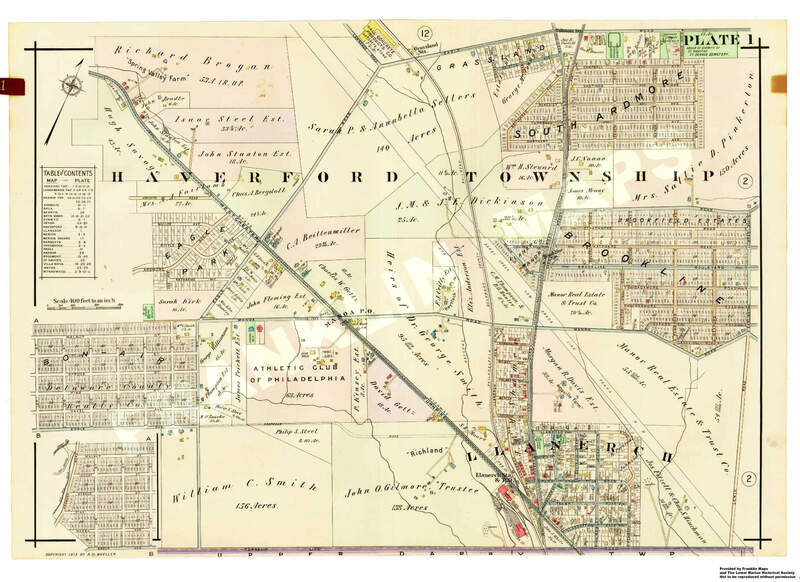 You may find it easier to zoom and examine details of the map in PDF.